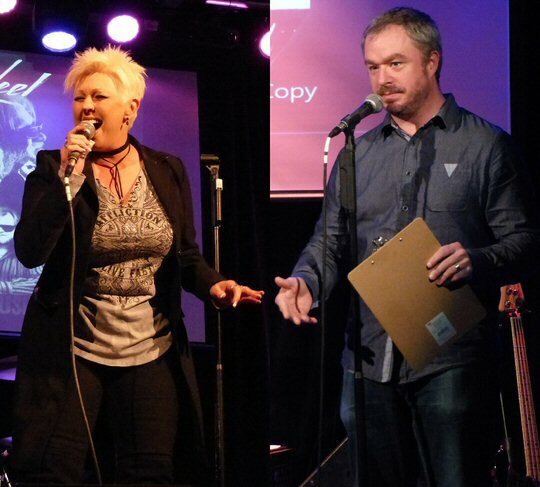 On December 28, 2016, 3rd and Lindsley in Nashville, Tennessee hosted a special celebration concert starring keyboardist Johnny Neel with The Last Word along with special guests Jack Pearson – guitar, female vocalists Nanette Bohannon, Kelli Bruce & Cindy Shelton, Randy Boen – guitar, Russell Wright – bass and Curt Redding on drums. The collective presented material from Neel’s new record 66/16. This 32 track, double disc features tunes dating back to 1966 through 2016 with songs reflecting changes in musical styles and social issues through the decades. The CD is also a comprehensive retrospective of the half century long career of Johnny Neel. Johnny Neel marks fifty years in the biz with the release of the 66/16 double CD. Johnny Neel is a well-respected pianist/organist, harmonica player and composer. While in the Allman Brothers Band Neel co-wrote a number of tracks for the Seven Turns album including the number one hit “Good Clean Fun”. Johnny is also well-known for his blues, funk, jazz, R&B, gospel, country and southern rock stylings all fused into one deep-rooted sound that keeps him in demand by many top music industry professionals across the globe. Nanette Bohannon and The Soul Key kicked off the festivities with a solid set of funk, rock and soul. Nanette was a powerful lead singer with Kelli and Cindy providing strong backing vocals. Her band was tight adding tantalizing jams to Nanette’s muse. Their version of “Ain’t Nobody” rocked as did most of their show which also featured a Joe Bonamassa cover that sounded cool with three female voices setting the tone. Later the ladies would sing with Johnny on a number of his tunes. 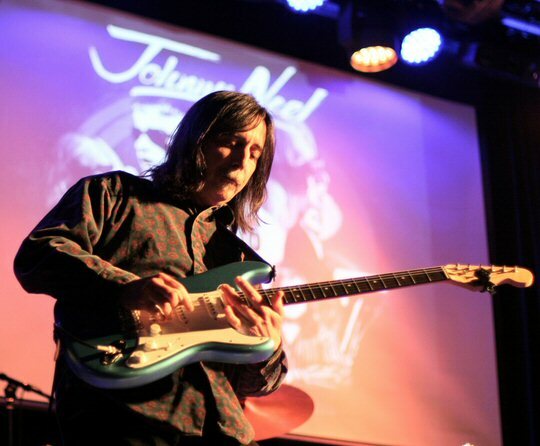 Before Mr. Neel took the stage a video put together especially for the 66/16 release gave a broad overview of Johnny’s 50 years in the industry that started when Neel got a record deal at age 12. Later he would move to Nashville and learned that there was a lot more to country music than he thought. In the film Johnny recalled meeting Dickey Betts at the now legendary Bluebird Cafe which lead to Neel joining the Allmans for a number of years. The film included interviews with Johnny along with people who have known and worked with Neel during his long career. Fellow Allman Brothers Band alumni Jack Pearson was in the house. Johnny Neel was one of the first artists to perform at 3rd and Lindsley when the club first opened. In some ways the CD release party was a return to Johnny’s roots. The first part of Neel’s show was a solo set with Johnny singing and playing keys. He chatted between songs that included “Craving Love”, the insightful yet stark “Society Hill” and a touching “My Kinda’ People”. After a break Johnny was back with a full band featuring Jack Pearson who right from the start was punctuating Neel’s music with potent guitar licks or trading leads with Neel on keys. This segment was a much anticipated reunion of The Last Word who have not performed together in about 20 years. This configuration allowed for more experimentation and it appeared that the musicians were enjoying the exploration. The last set featured Johnny Neel with his current band The Criminal Element. They too jammed and gelled nicely together to finish the concert off on a creative note. 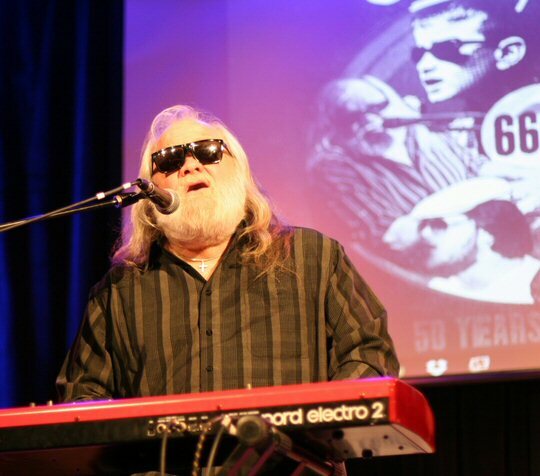 The 66/16 CD release party was a celebration of Johnny Neel’s music. The film showed Johnny’s humorous side and the conversations with associates demonstrated their admiration for Neel with many saying how encouraged or inspired they were by Neel. The live show spanned music from the mid 1960’s into the present with artists who have performed with Johnny at some point during his fruitful career. Johnny is a recipient of the Grammy Lifetime Achievement Award. Along with the Allman Brothers Band Neel has worked with BB King, Garth Brooks, Gov’t Mule, Keith Urban, Steve Winwood and plenty more. 3rd and Lindsley is a neighborhood bar and grill south of Broadway that also showcases live music such as the Johnny Neel concert. 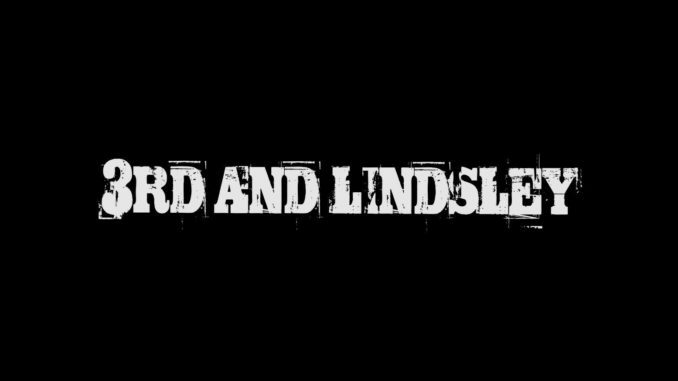 The venue supports local and national acts including the Time Jumpers an award winning western swing band from Nashville that often performs at 3rd and Lindsley on Monday nights. Singer Nanette Bohannon and Lt Dan Buckley were part of the festivities.